Are You Able To Keep Up? 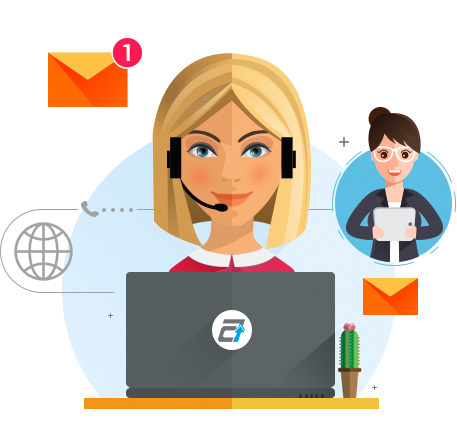 Autoxloo’s Live Chat is designed to give each department and its respective staff in your dealership a unique user access to interact with your potential customers. The live chat widget on your Autoxloo DMS is a great tool which facilitates the communication channel with the customer in real-time. Live chat increases the amount of leads and helps you develop a relationship between customers and your brand. With live chat customer doesn’t have to search for a phone number and make a call. Customers who are online can simply engage with the representative and get their answer in a few seconds. Want to Boost Your Commercial Success? Optimize Customer Support Service! Chat gives your dealership an opportunity to manage more than one customer question at a time. This is a great, time-saving aspect of live chats. It allows after hours inquiries. If no operators are available, consumer can leave offline message and it will be directed to a specific department. You can offer chat on every page of your website or configure the software in such way that chat window appears only through a certain period of time or after a certain number of pages viewed by visitors. So, you can be sure, that your website will not be annoying. Also your dealership should use proactive invitation to welcome your website visitors and engage them into a conversation. In addition, Live Chat shows where your visitor is on your website. Whether it is a product page or a customer support page, you will have the opportunity to use a chat invitation that is relative to what the automotive shopper is looking at on a specific webpage. Online consumers want to chat live with real people. The application Live Chat can display the actual names and photos of salespeople to help them build rapport with clients. Also you can set a unique greeting for each department to show while a visitor is waiting for a chat session to begin. Being available 24/7 is the norm today. Live Chat on your mobile device is a challenge! Get Cell Phone alert Chat request to your mobile email and answer your customers questions directly from your mobile. Build trust and relationships with your visitors and know their needs and expectations before they come into your showroom. Instant customer feedback with the ability to respond quickly to a customer with a negative impression or conflict resolution.